Consist 5 fishes, 1 fishing rods. Two rods means friends can play too! 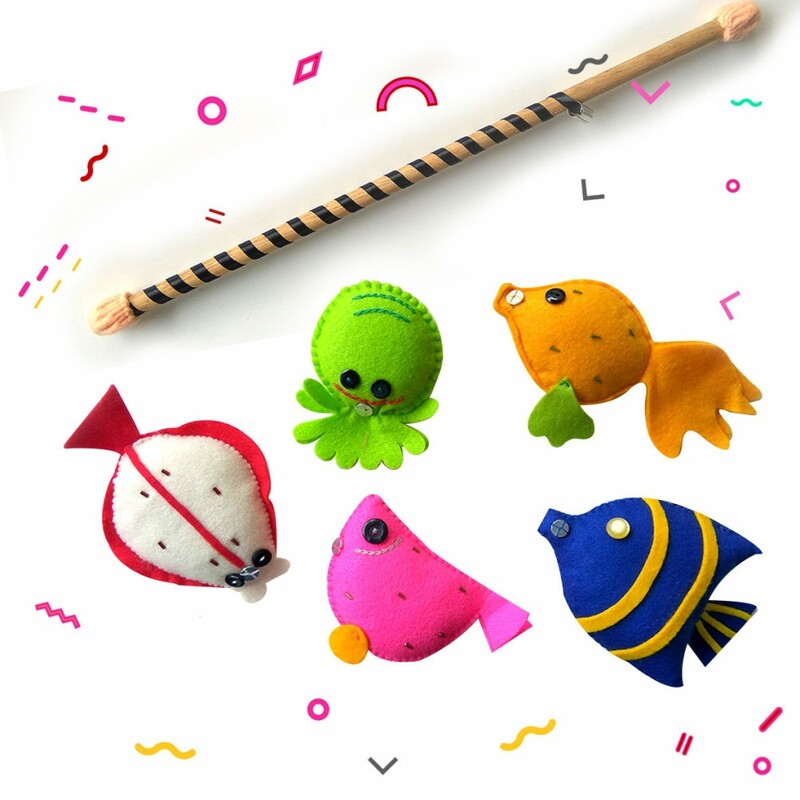 Let's take turns to try and catch a colourful sea creature - carefully lower your fishing pole down into the deep blue sea and try to catch a sea creature with the magnet. Lift up your catch gently - can you name the creature or the color? 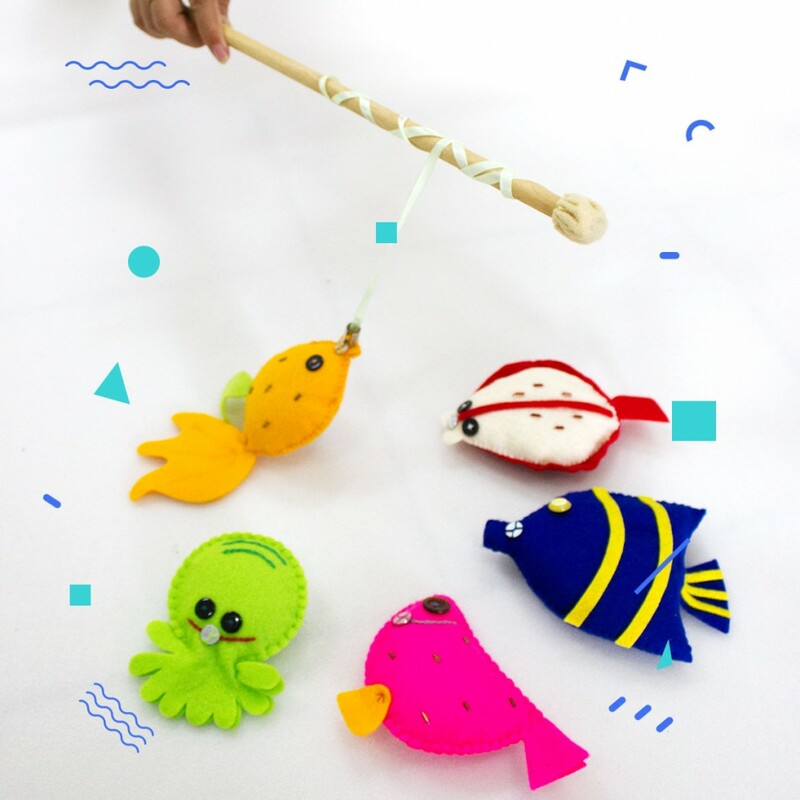 Keep fishing until all the sea creatures are caught, then count them up to see who has the most before putting them back into their ocean home to play again.